Personalized video shout-outs from all your favorite Celebrities, Musicians, Athletes, Influencers and more. How does a celebrity make my video? 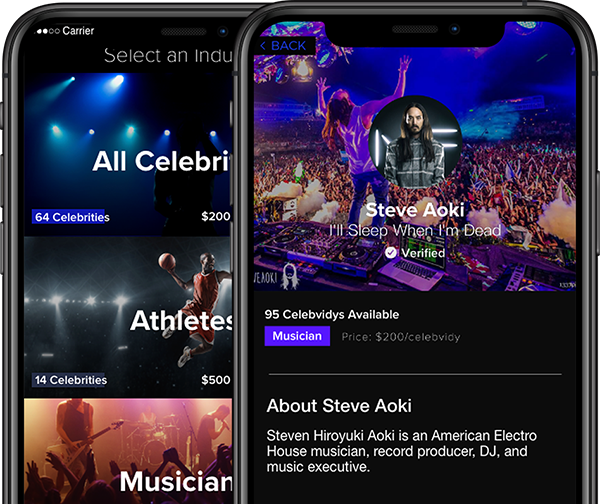 All celebrity members have access to the exclusive section of the Celebvidy app where they receive notifications of incoming video requests. 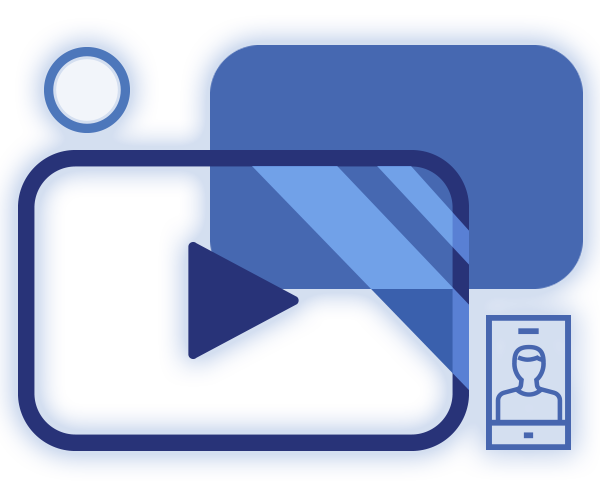 Your custom Celebvidy-video is then reviewed and made with our proprietary technology. Once complete your Celebvidy is sent and you will be charged the initially agreed upon amount. Select a Celebrity from our ever-growing list and begin. You can do this by searching for them or browsing our alphabetical directory. Don’t worry; if your favorite celebrity is not on our site, you can help! Just tweet at them with the hashtag #celebvidy or @celebvidy and let them know you wish for them to join! The fun part… in 200 characters or less you get to write a customized script for the celebrity to read. Example: “Happy Birthday Johnny, you friends Chris, Kyle and I wanted to wish you a very blessed birthday.” What if you have a question for the celebrity instead? No problem! Select question and use your 200 characters to ask one! Step 3 – Receive your Celebvidy! Sit back and wait for your Celebvidy to arrive. Please be patient as celebrities are very busy. Once complete you will receive your Celebvidy-custom video as a private YouTube video URL. Then you can share however you like with the lucky recipient. Celebvidy’s make great gifts for all occasions so be creative and enjoy!